Years back, Phoenix started as a farming community in 1860’s. Now, it is one of the biggest metro areas in the US. People love to settle in Phoenix and many people are still planning to move there since it is rapidly growing. Due to the amazing economic opportunities and for soaking up the sun, this can be a perfect place for the people to move to. This place also comes with some amazing perks. Though it offers great opportunities and a great environment, the cost of living here is almost 5% lesser than any other places. Do you want to move to Phoenix too? If so, read on to learn about some critical moving to Phoenix tips you should keep in mind. 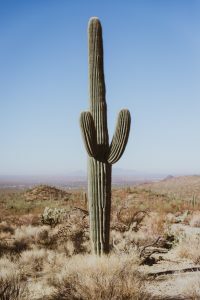 Phoenix is a huge area and people tend to refer the entire area as the valley of Salt River. Some of the cities in the west valley are Peoria, Goodyear, Gilbert, Buckeye and Avondale. Some of the cities of the east valley are Mesa, Queen Creek, Tempe and Chandler. More than 4.5 million people call “the valley” home. The average rainfall of Phoenix is just 8 inches of rain throughout the year. Most of this is due to the storms that come during the summer seasons. There is no such thing as constant rainy days or a rainy season here in Phoenix. This is one of the easiest to navigate cities in the entire country. This city has the streets with fixed and quite a clear north-south-east-west grid. In case you feel confused, look for the South Mountain which runs conveniently across the southern side of Phoenix. This makes the locals really angry or unhappy. Though the heat is very dry in the summer, you cannot say that. It is always better to tell the locals that you prefer humidity. Phoenix has some of the finest and most exquisite resorts in the United States. Whether you want world-class spas, a dining or golfing experience, you’ll be able to find all of these in Phoenix. Phoenix is quite informal in terms of clothing. Make sure to pack a lot of jeans and t-shirts before you move. If you’ve heard rumors of snakes being in Arizona, then you’re right, but to an extent. There are usually no snakes in the metropolitan area of Phoenix, but you might notice scorpions if you are living nearby the mountains. That’s why it is better to check your shoes before wearing them. Buying a blacklight is quite handy since scorpions glow underneath this sort of light. So, if you are planning to move to Phoenix, then these moving to phoenix tips will be quite helpful for you. You will be able to prepare yourself for the new journey that you will start after moving. It takes a little bit of time to adjust to a new place. Hence, these tips will be quite handy for you when moving to this upcoming metro city.